Today was a little different. A man with a camera stood on the roof of his car and clicked at me as I rode up the coastal 106. Then, again I saw his lenses peeking out if the long grass on a roadside sand dune. And yet again he snapped me as I took a drink and admired the blue ocean. What the hell was going on, I hear you plead. This man was (and still is – I can hear him getting into his tent) Ryosuke Ishibashi of Asahi Shimbun (‘Japan’s Leading Newspaper’). 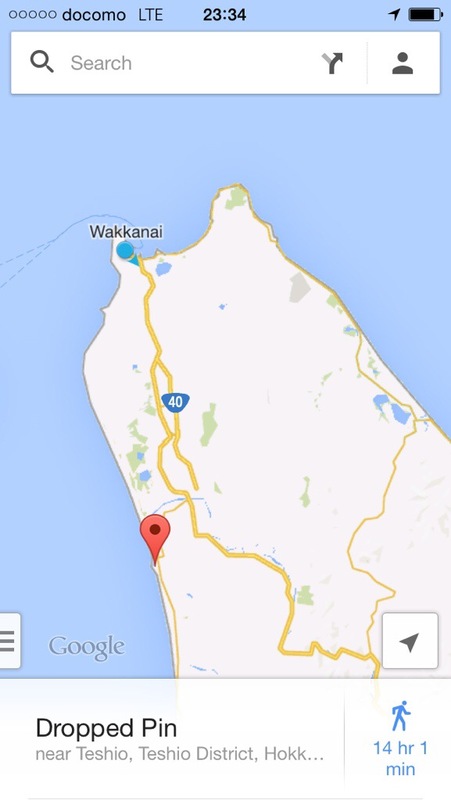 As a member of the foreign news section he had been sent to chase me (a foreigner) along my final stretch of road to Wakkanai, Japan’s most northerly town. 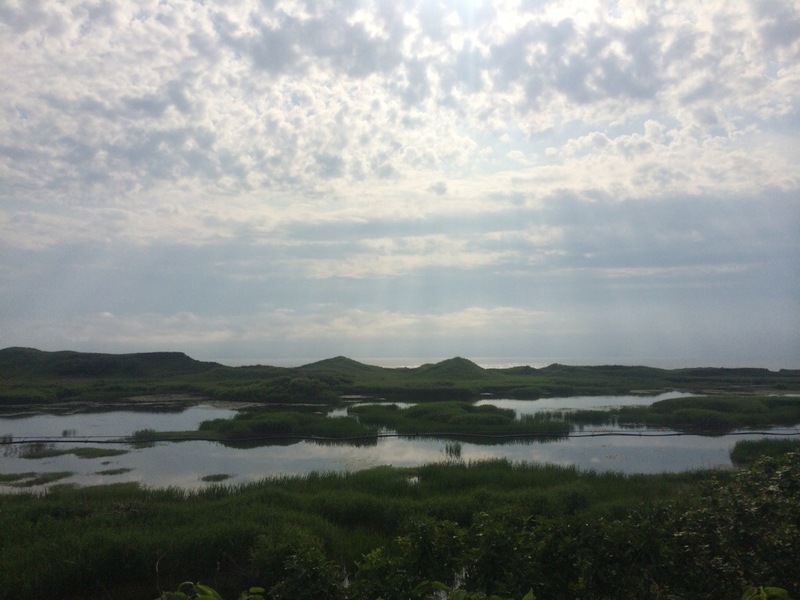 In fact, Ryosuke had lived in Wakkanai for 2 years and then Sapporo for a further 2 so knew his way round and proved to be great company for the day. We stopped briefly to see the only seal in Bakkai, which was contending for highlight of the town with a half sunken TV, before visiting a couple if his old haunts. He treated me to lunch at a farm cafe and then coffee at his friends art studio. 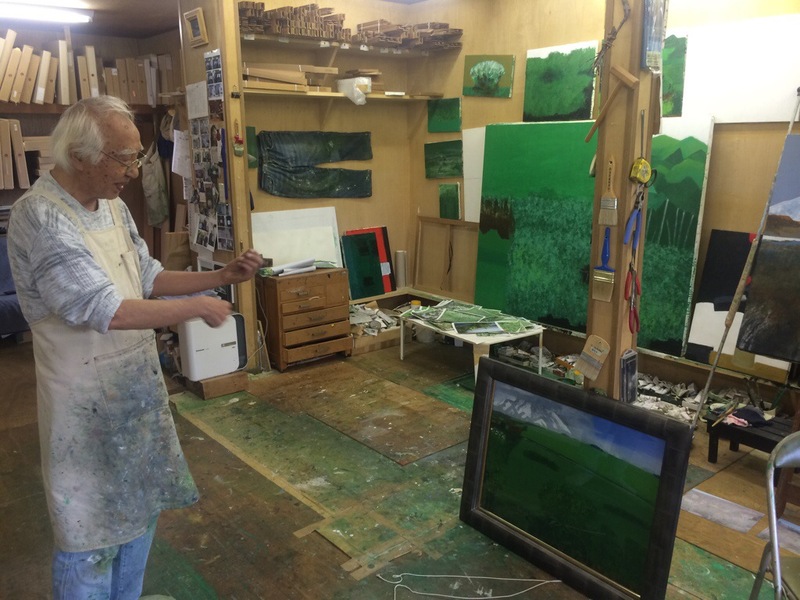 His friend happens to be Eisei Takahashi an 84 year old master painter. His studio is littered with vibrant oil paintings of the surrounding countryside with a favourite subject being Mt. 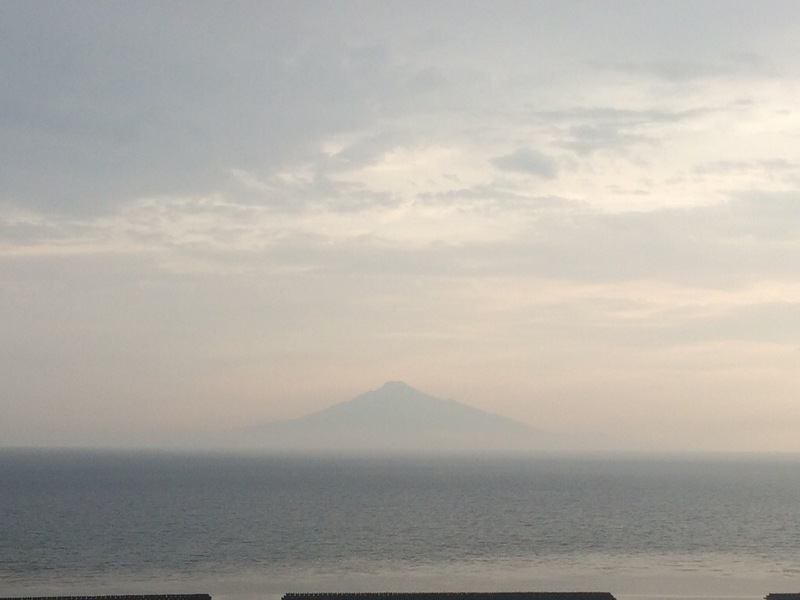 Rishiri which today is hiding in the cloudy haze. I tell them the hills look a lot like Yorkshire and they don’t believe me until I show them pictures. Later we visit the most northerly onsen in Japan but it’s shut so we visit the second most northerly onsen instead. A glimpse a view of Mt. Rishiri as the sky clears in the west. A Russian restaurant across the street tempts me with its exoticism but we instead plump for a seafood izakaya. On hearing about my trip and on welcoming back an old customer in Ryosuke the owner presents us with 2 free unidon, or sea urchin on rice. Priced at ¥2500 a pop this was quite a gesture and it was sweet and delicious. Failing to interview me properly all day Ryosuke finally takes out his notepad at 10pm. We sit in the lantern light by the tents and he asks me questions and I eat mini cream puffs. A deer comes for a look and then scampers away. I’m hoping for clear skies tomorrow – I desperately want to see Russia.